Imagination Technologies (IMG) and its shareholders were struck by a cruel blow this morning. IMG's biggest customer signalled that it would not need its intellectual property (IP) any more. 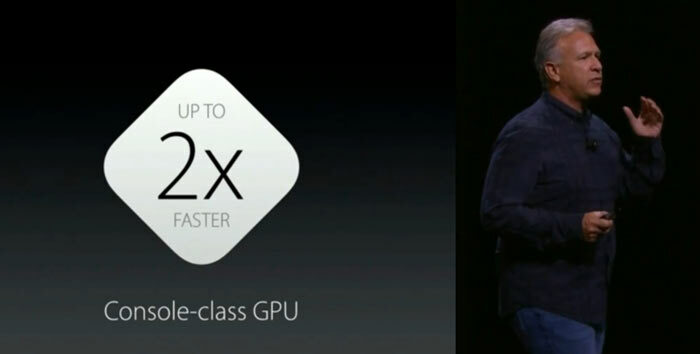 Apple told IMG that it would not be using its GPU IP in new products from 15 months to 2 years from now. Of course, in line with such an event Apple would cease royalty payments. In 2016 Apple paid out £60.7m in royalties to Imagination and it is forecast to pay about £65m for the current financial year, notes the BBC. 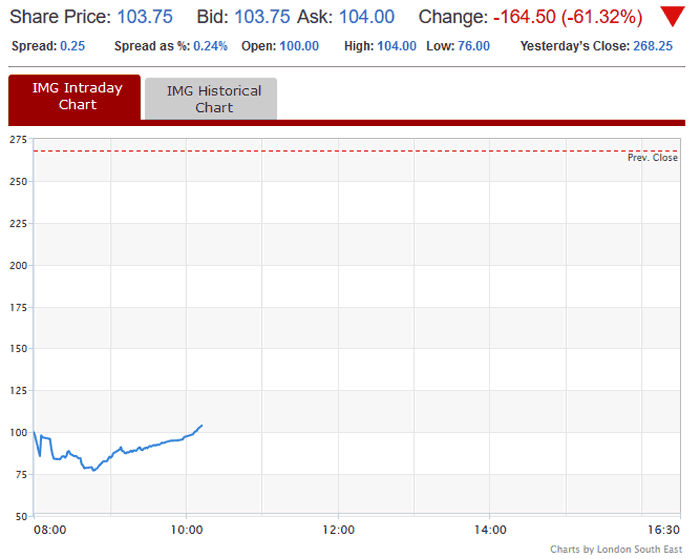 The news about the GPU IP contract was released this morning, an hour before the markets opened, and has hit IMG shares hard. According to LSE.co.uk, shares last closed at £2.68 each on Friday but were priced as low as £0.76 this morning. At the time of writing traders seem to think that was a knee jerk overreaction, as the price has edged back above a pound, at £1.04. In IMG's news release the company argues that Apple can't just cease paying royalties for its GPU IP without evidence to prove it won't be using the technology, in any way, any more. Apple has used IMG's GPUs in successive generations of iPhones, iPads, TVs and watches but says that it will begin to use "a separate, independent graphics design in order to control its products". Following the shock news from its biggest customer, IMG has pushed Apple to show evidence that its in-house GPUs don't violate Imagination's patents, intellectual property and confidential information but Cupertino has declined to provide such verification. Looking at the news release, IMG isn't just accepting Apple's word. "Imagination does not accept Apple's assertions," says the statement, and reasons "it would be extremely challenging to design a brand new GPU architecture from basics without infringing its intellectual property rights". IMG is holding a conference call for analysts and investors this morning but we haven't seen any RNS updates about it as yet. Apple holds 8 per cent of IMG shares and has previously held talks about buying it out. Today it would be a bargain, perhaps, especially with the $:£ exchange rate how it is. Oh hell. I just accepted a job offer with Imagination Technologies. This is certainly bad news for them, as it's half their revenue and likely what keeps the company from not going bankrupt despite the other licensees. Still other GPU companies exist which are smaller - Vivante for example. So they can stay alive by trimming down. But then they don't advance as quickly and fall behind. ARM's Mali is a big competitor. I suspect they are already as lean as can be, so further cuts will hurt badly (like Tory austerity politics). However, if Apple have their own GPU, then Samsung will want their own GPU, so don't be surprised if Imagination aren't bought for that reason. A few hundred million isn't a lot of a company like Samsung, and they would get a lot of expertise in return. MIPS would be dead though. Yeah possible, it's usually last-in-first-out when the job cuts come and if you haven't been there for long you won't be entitled to any/much redundancy payout. Difficult to see Imagination replacing the Apple business if it's lost. Qualcomm, NVidia and Intel have their own graphics IP, Samsung and many of the Chinese budget SoC designers are using the ARM Mali they probably get bundled at discount with the ARM CPU core designs. Who would want or need Imagination graphics at the same scale as Apple? If Imagination are an independent company by this time next year I will be shocked - best outcome for them now is acquisition, they should have taken what they were offered before. Wouldn't surprise me if Apple have made this announcement deliberately to force the share price down so the Imagination board have to accept Apple's terms.